So last weekend, I managed to get 4th and 2nd at the Roswell motorcycle event. This puts me, in a situation where in order to win 1st for the year, I have to place in the top 3 at the december event. I am not too worried about doing so, it just makes me think about what I have to practice. Finals in school apparently go hand in hand with trials. I found a way to put Win XP on my desktop, I am using nLite to do so. The issues stems from the ability to install XP on a computer using SATA, a standard not supported by the original version. nLite solves this by allowing drivers to be installed while the instal utility is being loaded, very cool. I am playing with VoIP, Trixbox, Asterisk, Digium, and FreePBX right now. I actually found a way to connect my office and my apartment to the same phone network, so now I call the office using an extension, NO PHONE BILL! It is pretty cool. It also means that I can get rid of our Qwest phone lines in favor of VoIP, it is way cheaper and there is less issues, I am looking at saving about $100 a month in phone bills by switching. Recently I took over a website called www.nmtrials.org it is a site for the motorcycle club I belong to. I am using a suite called drupal, it is the awesome. Yesterday was round 4 in the New Mexico Trials Assn.Competition. Dad, Tim, Willie, April, Thomas and Aurora rode in the morning. I spent that time making sure no one got hurt and coaching them through tough spots as I got a chance. They all had a good time and no one got badly hurt, just the usual bruises and scrapes. The morning ended with dad in 4th in Intermediate, tim somewhere around 6th in Amatuer beating Willie by a couple of points putting him in 7th, Thomas 3rd in novice, April got 6th in the same class and Aurora did not finish, allowing april to finish her run rather than both of them not having enough time. After lunch, the upper class riders went out, I rode Sportsman (the lowest of the upper class). The time was from 1:30 to 5:30, I was one of the first riders to turn in my ticket at 4:55 finishing with a score of 40 points (lower is better). At 5:30 most if not all the upper riders had come in from the 9 sections, most worn, dusty and sweating from the sunny 80+ degree weather out on the rocky mesa. After some water and a little rest I come back to find I have won 1st place in my class, marking my first win in the class since I started back in February. It was a long and rough day, but I really had a lot of fun and I think that the rest of the crew did too. Well, I ended up moving up to Sportsman after only three events. I think I am finally at or near a class I belong. That may not be true in six months but for right now I am happy working on my skills. I took 5th in February, 5th in March, and 4th in the April event. I was 2 points away from 2nd place. By this time next year, I am hoping to be in semi-expert or expert. RIght now I am just a little sore and tired. The hardest thing is the dehydration, it is a killer out on that hot rock. My Dad placed 1st in Intermediate and April placed 2nd in Beginner. It is kinda cool that my dad already placed 1st in a class that I so recently did. I think that advising him the day before on the sections helped a lot. It can be a full time job being a Minder/Advisor. Happy New Year!, considering that this is the first post of this year, it is the new year for capamonkeyboy.com, it is also about a year old! Well, I have been hella busy with servers and School and finding a new roommate, oh my! Over the weekend, I moved up to sportsman in trials, that means upper class, and got 4th in the last comp, I will need to work harder at my skills to be ready for semi expert and expert, but I feel that I am on the right track. I also have a new server, but I will post the details for that later. So the last Comp went well. I moved up a class to Intermediate and got 3rd the first day and 1st the second day. I won “Best Overall” in Intermediate for the event. The best part is Dad was so impressed with my riding that he decided to buy a new bike and give me his old one. Well I did it. I moved up a class in my trials motorcycle riding at the latest comp. I went to the event in roswell and managed to get third place the first day. I was mad because I knew I could do better. I spent saturday afternoon practicing and managed to get down the move I had been failing at. The second day of the event I was able to win first! I even had low enough points to win best overall. I now have a third place and a first place in intermediate as well as a best overall, it is my first in intermediate so I am really happy. This is more of an update than anything else, I am working my way through my semester at UNM, I am big on servers and networking right now as it does help the family business. 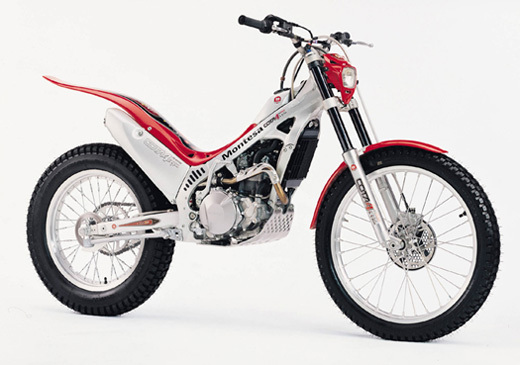 I am also big on mortorcycles, namely specialty dirt bikes designed for slow speed jumps and agility, it is called trials and it is a sport at which I am good. This weekend I will be riding intermediate class and maybe (depending on my place), sportsman soon. Anyway, have a good one, later.